Rebuild Right evolved after years of experience within various construction companies, government agencies and non-profit organizations. We are passionate about what we do and the quality of work we deliver; focused on harnessing the right elements in each project without compromising our craftsman-like core values, we hold true to our "reVISION". We enjoy transforming the old into new spaces that reflect an aesthetically pleasing modern lifestyle while balancing comfort and functionality. Rest assured knowing that our team has the skill set necessary to get the job done right, the first time. Collectively, we have over 40+ years of education and relevant project experience in the construction field. Not only are we passionate about creating quality, functional and sustainable structures, but we are also hands on...capable of performing nearly every trade "in-house" if/when necessary. Employing a pragmatic and systematic approach to everything we do, we continually strive to learn more and further our range. To help facilitate this we utilize an online project management platform for clients to access real-time information specific to their project. Professionally, we have established working relationships with a select few architects, engineers and interior designers that we trust to deliver a quality and comprehensive product. We employ many of the same skilled subcontractors to ensure consistency while leveraging their invaluable expertise; paying them timely upon completion of their trade (usually prior to invoicing our clients) and fairly for their services. Our clients include both homeowners and investors. To ensure proper cash flow management and project cost accuracy, Rebuild Right utilizes a 3rd party CPA for all of its accounting. Extended warranty coverage through 2-10 Home Buyer's Warranty is also offered to clients to provide assurance for years to come. We believe in supporting the local economy and are engaged in our communities on various levels. Rebuild Right holds a Class C License, maintains its own General Liability Insurance and is Accredited by the Better Business Bureau (BBB). As a 3rd generation builder and developer, Jamil started Rebuild Right after the successful startup of Capital Roofing & Restoration, overseeing 300+ annual roof installations and all interior remodeling projects. 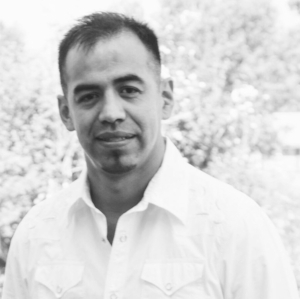 Previously he founded reFOCUS, a consulting firm that provided business and property development services in Roatan, Honduras as well as residential energy-efficiency program design & management in Colorado. Prior to going out on his own, Jamil implemented various residential energy & water efficiency programs at the Colorado Governor's Office and built custom homes for one of central Ohio's premier residential design/build companies, P & D Builders. He earned a Bachelor of Arts in Organizational Psychology & Business Management from Wittenberg University and a Master's of Science in Real Estate & Construction Management from the Daniels College of Business at the University of Denver. Over the past few years he obtained a Residential Contractor - Class C Supervisor Certificate, BPI Building Analyst Certification, received HERS Rater training and is currently finishing his Colorado real estate license. Jamil spends his free time engaged in all types of sports, playing music and traveling with his friends/family. Abel is a second generation construction worker, the son of hard working immigrants that influenced who he is today. He grew up watching his dad starting as a laborer and then eventually opening his own business. At a very young age he started working for the family business before attending college and obtaining a bachelors degree in business management. Continually interested in learning more, he became a project manager for a local contractor until deciding to start his own business, Madera Remodeling. He is detail oriented while passionate about creating a quality product that meets the client's needs and wants. In his free time he enjoys spending time with his wife and daughter as well as playing soccer and watching football. Crystian started working in construction while attending school at a very young age. After graduating high school, Crystian decided to focus on residential construction in particular, working for a number of builders and for his family over the past few years. He as always been driven to learn more about the industry; he is constantly expanding his knowledge base and skill set. In his free time, he enjoys spending time in the mountains and traveling whenever possible. Michael is a Colorado licensed architect with over 12 years experience designing single-family and multi-family residential projects across several states. He specializes in contemporary & modern structures, and has served as architect of record for dozens of projects in the Denver area alone. After graduating with his Master of Architecture degree in 2008 from the University of Colorado, he completed his internship working for a firm in Boulder, Colorado before moving to Texas to take his licensing exams and to develop his architectural skills in a different part of the country. After moving back to Colorado in 2010, he founded Fiebig Architecture and has been providing local support to builders, engineers, and other architects ever since. In addition to being a design architect, Michael also consults for insurance companies and attorneys as a forensic architect specializing in building envelope construction, among other things. He currently lives in Highlands Ranch with his wife and three children. Faris believes that good design can change lives and promote well being. She holds a Bachelors of Science in Interior Design from the CIDA accredited, top-ten rated College of Architecture and the Built Environment at Philadelphia University. It was there that she developed a passion for merging the science and psychology of interior space as a way to better the lives of the user. After working in the Danish design and furniture industry for many years, Faris took a chance and relocated from Philadelphia to Denver to join the TVL Creative design team as Lead Designer. Since arriving in Denver in 2014, Faris has designed more than 120 projects and has honed her skills as a kitchen and bathroom design specialist. She is dedicated to listening carefully to help clients create a home- no matter the style- that is inviting, functional, and sophisticated.